We’ve all got that friend who floats blissfully, month to month, never experiencing a cramp, ache, pain, bloat, mood swing, or other frustrating PMS symptom. Hell, she’s probably never had to buy a super plus tampon in her life! Bless this woman, seriously though, because now you realize that it’s possible! Dont believe us? Perhaps we need to think differently about our period symptoms & let them GUIDE us rather than VICTIMIZE us. Mabye this is the 1st step towards YOUR version of bliss & scoring straight A’s on that monthly Period Report Card! Before we go any further, if you missed our post on what an ideal, symptom-less period looks like, check that out & use it as a reference when setting a baseline or goal for yourself. WHY IS AN IDEAL PERIOD IMPORTANT? Having an ideal period likely means we aren’t experiencing symptoms of hormonal imbalances. The symptoms of hormonal imbalances are little signs our body gives us that encourage us to change our lifestyle in order to be feel better and healthier. So if our period is wrought with uncomfortable symptoms, that may be our sign that what you’re doing, eating, & how we are living is not suitable for optimal health. An uncomfortable period is NOT our body rebelling against us, it’s trying to tell us something really important. This is our opportuity to work WITH our body & not AGAINST it. 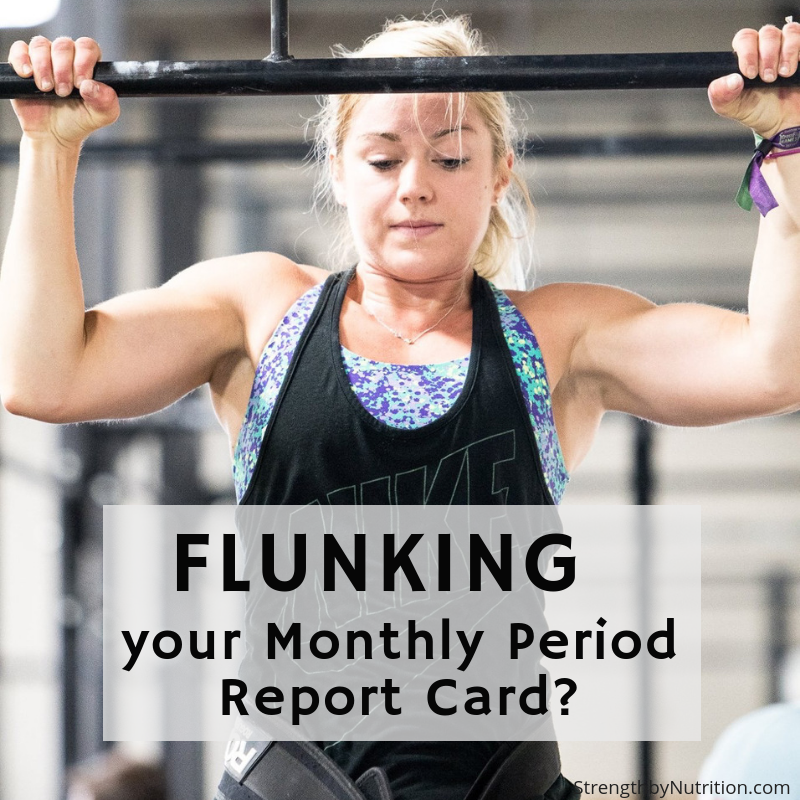 Every month we should be checking our periods to make sure it’s coming on time, what the blood looks like, & how we feel physically / emotionally during the week before & during our period. Having this kind of data and awareness may prove very useful in determining what’s normal or irregular with your own body. For example, if your period changes consistency or starts to feel different, or perhaps you’ve always had painful periods, you’ve been on the pill for years, or struggling through menopause…these are all signs and symptoms you can bring to your doctor if necessary. Still need help? We have tons of free content on our blog to support your journey towards balance and bliss, not only during your period, but for the rest of your life as well. Let us know if your body is speaking to you! What is it saying?